Youngdevs Initiative Ghana (YIGh)–a not-for-profit arm of Syecomp Business Services Ltd seeks to build sustainable organizational and marketing capacities for disadvantaged rural youths engaged in fish-farming in all the regions of Ghana. A significant part of the project is the establishment of a geospatial database of all youths engaged in fish farming businesses in the targeted regions assisting them form groups/ associations in their respective localities. This is being done by registering all formed organizations, developing a profile for each of the groups and then mapping their locations using the Geographic Information System/ Global Positioning System (GIS/GPS) technology. A good database for youth fish farmers shall enhance effective planning, representation and coordination in the intervention areas. This would provide the platform for exchanging valuable information among youth fish farmer associations, state agencies, traders and other relevant actors in the agri-business venture. Our strategic approach would involve the use of Capacity Building and Training methodologies through assistance in the establishment of smallholder Youth Fish-Farmer Associations (YFFA) and conducting an organizational level training on association building. Added to this, we will undertake experiential learning with youth farmers on fish culture techniques and developing effective actor-chain linkages for youths involved in the venture to find market for their produce. The project will ensure that youths engaged in the fish-farming venture will benefit from technology transfer and that their special constraints to accessing information and experiences on new technologies will be addressed in the framework of the project. Further to this, Youth Fish Farmer Associations will gain knowledge to undertake FACE services to boost operations (Financial access and sustainability, Advocacy, Communication, Education). The project will build the capacity of members to develop and sustain their businesses by injecting professionalism into their operations. To achieve this, the project shall facilitate the development of business plans for the various youth fish-farmer organizations. While enhancing their access to funds, the business plans shall serve as the critical tools for policy direction of the organizations. Composite business plans shall be prepared for each participating Youth Fish Farmer Association (YFFA). Complete plans would be forwarded to banks willing to finance the business operations of the groups. All groups shall be capacitated to develop their own business plans with bankable budgets for funding. This shall offer the youth fish farmers an opportunity to put into practice some of the technical knowledge acquired from capacity building from the project. 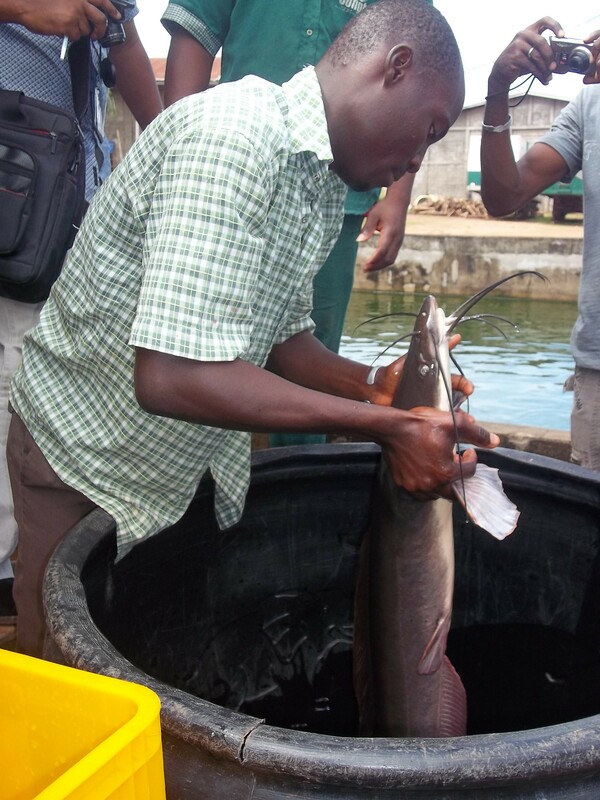 Significantly, the project unit (Youngdevs Initiative Ghana) will create model fish-farms in suitable areas in the country based on what they have acquired during the Experiential Learning stage. Unemployed graduates will be engaged in this venture and profits generated will be ploughed back into the enterprise. The project will develop and implement a participatory Monitoring and Evaluation (M&E) program to measure progress of project activities, monitor output and results indicators, ensure feedback to project operations, and measure final impact. [Full project proposal with Logical Framework Analysis and Budget available upon request]. The information on this post is beneficial. thanks Emely! continue reading our posts and keep posted! Seeing such innovative activities in place for youths is very encouraging. Added to an effective technology to enhance market accessibility…best! keep it up guys! thanks. Presently, Youngdevs Initiative is seeking funding to undertake the spatial mapping programme. This is serve as a baseline for any technical and business management support to be given to youths engaged in fish- farming in Ghana. Thanks again for your comment! fee free and download any file of interest to on the Box.net widget!